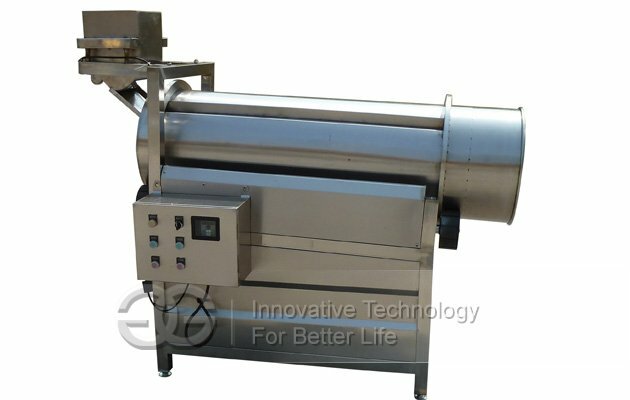 This flavoring machine is used to add flavors to chips, and other snacks. Adopts screw fixed conveying, flavoring evenly, speed of screw are adjustable. 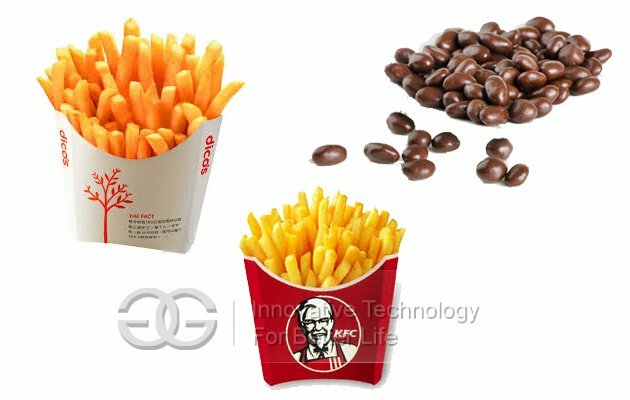 Single Drum Chips Flavoring Machine is Mainly used to process the potato chips, and other snacks,etc. 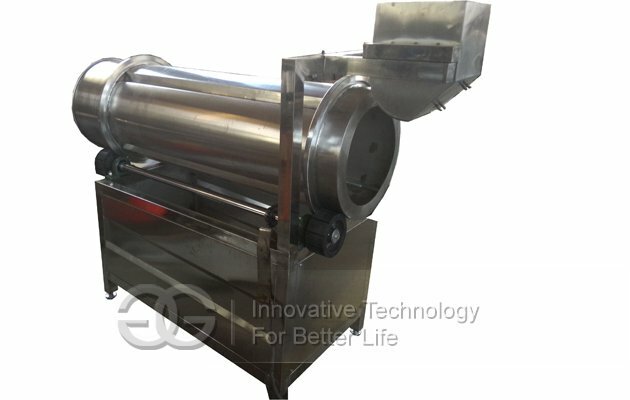 Flavoring material adopts screw fixed conveying, advanced flavoring system guarantee flavored evenly, speed of screw are adjustable.Rotary roller adopts complete molding without dead angle.All kinds of food seasoning machine used for mixing and flavoring all kinds of puffed food, fried food, potato chips, potato slices, beans, nuts, crisp and so on.This seasoning and coating machine can make slated/sweet/spicy flavor, colorful and so on. 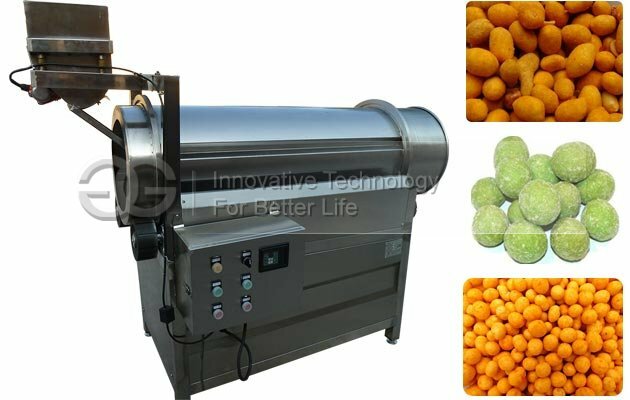 This rotary seasoning machine is the most advanced seasoning machine for flavoring and mixing food. Full stainless steel, good quality and durable. Electric control, speed adjustable, clockwise and counter-clockwise rotary. 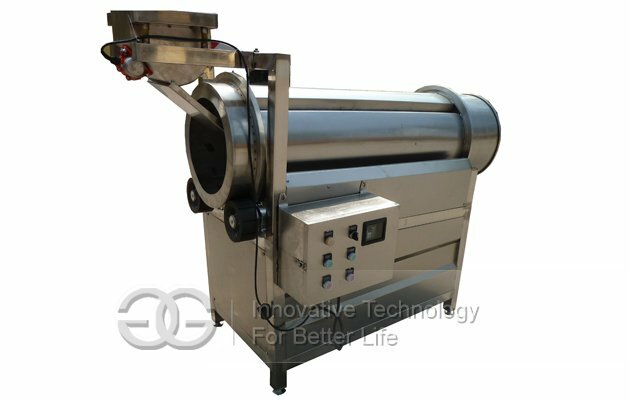 High quality and capacity, Rotation stability, low noise ,Easy operate and automatic discharge. 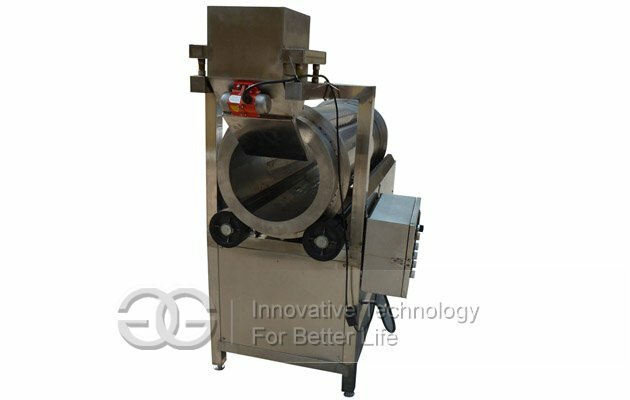 It is the most advanced food seasoning equipment in the whole world. Roller can blow hot air and slurry tank with insulating layer. The two tanks can works Alternatively. Temperature is adjustable.Easy operation, easy maintained. What is the voltage/phase for this machine?